Product is made of tissue cloth with beautiful decoration. 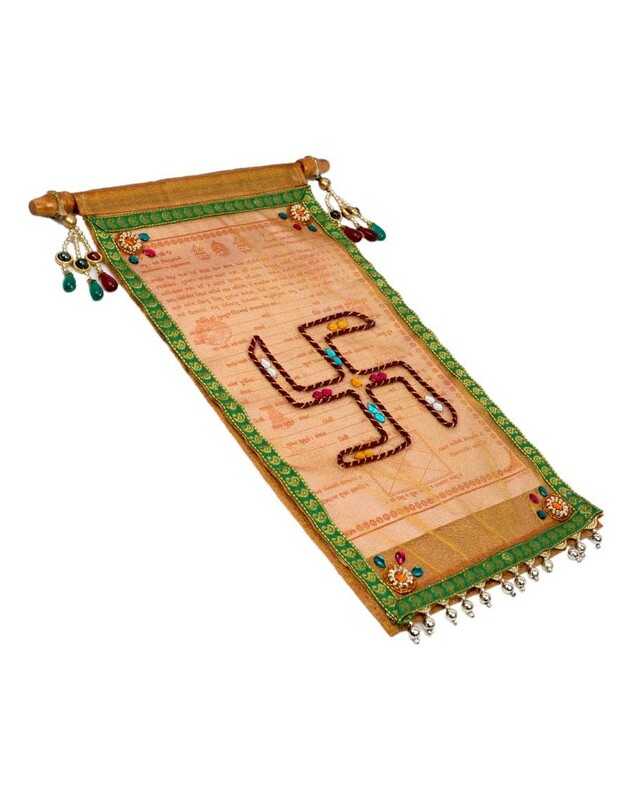 Lagna Patrika is used in Hindu weddings. They are called as the declaration of marriage and it has all the information about the wedding such as the date, marriage venue, time etc. These lagna partikas are creatively designed using fabric and they can be a colourful alternative to the plain ones. Go ahead and add more colour to your wedding with these designer lagna partikas.